We've heard this one before, why businesses will now want a new operating system. It's true probably a very small number of businesses will want to change up to the latest and greatest, but if businesses are the same across the country as the one that I work at, don't count on it. Businesses change operating systems for a few reasons, and depending on the time it would take to install it, and the peripherals that may become obsolete by upgrading to the latest software edition by Microsoft. Most of the time businesses use technology as just one of their tools, and if the tool isn't broke, they don't fix it. 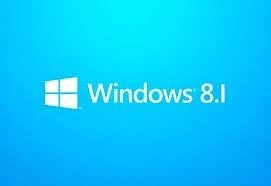 But maybe this time with all of the enhancements to Windows 8, business may again start to take notice. The improvements to productivity and ease of use could be a great thing for IT departments and business owners alike.